Fishers Croft is a stonebuilt former but and ben. 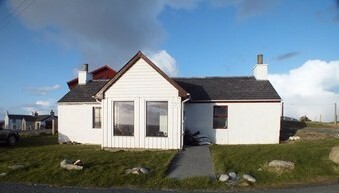 One of the earliest houses to built in Hamnavoe at the end of the 19th century, it has been recently renovated and extended and now provides cosy self catering accommodation for visitors and their pets. 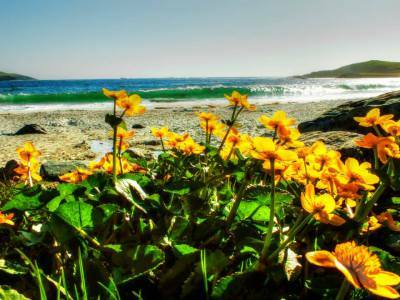 Situated in the heart of the village it has outstanding views over the marina, Fugla Ness Lighthouse, Foula and the now uninhabited islands of Oxna, Papa and Hildasay. 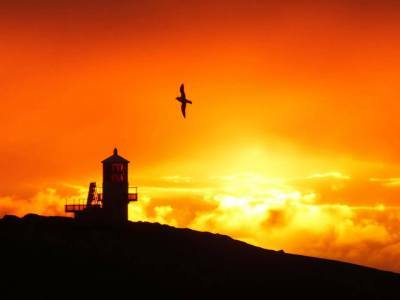 There is a shop a few minutes away above the pier, regular bus services to Lerwick and Scalloway, a community hall which often hosts quiz nights and other entertainments. 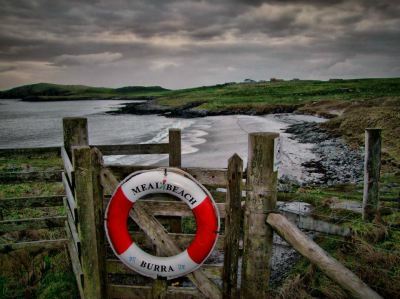 There are lovely walks all around including Meal Sands, a beautiful white sandy beach and more sandy beaches a short drive away at the south end of Burra. Plenty of rugged coastline to cover - whether calm or wild, you will never tire of the views from your windows. You can also enjoy staying in Fishers Croft for shorter or longer stays during the winter at preferential rates - ideal for business or pleasure. Please ask for more details. It is an ideal base for exploring all over Shetland including the Northern Isles (Yell and Unst) which can be easily reached in a day. You can book a boat tour or fishing trip to the outlying islands and Foula which can be booked at the local shop and departs from Hamnavoe pier. It is a unique experience and thoroughly worthwhile. Wifi is free and all electricity is included. As you leave the ferry terminal, turn right and carry on out the road north towards Scalloway. There is a junction just at the golf course for Scalloway and Burra so just follow the signs. As you leave the airport, head north to Lerwick and continue until you come to a left junction for Burra and Scalloway. Take this junction and continue and then head left to Burra.